the difference in the top right quarter. issued for the shillings of the George III reign. melted down so they are extremely rare. Pistrucci. 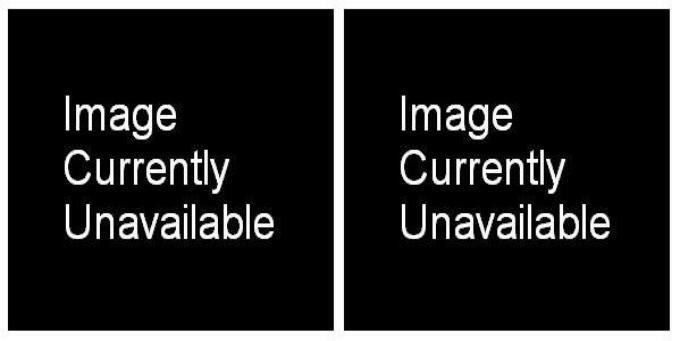 The reverses were designed by Thomas Wyon. 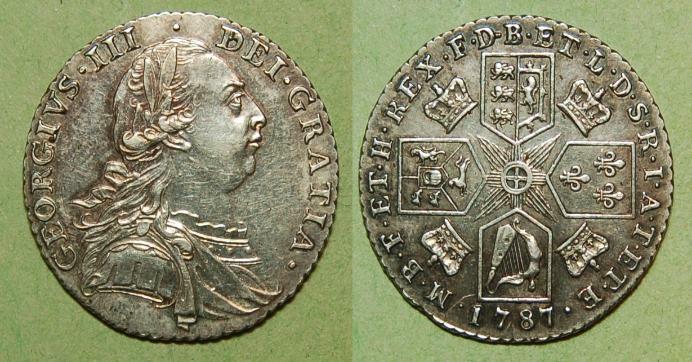 1763 Silver, 6 grams, 25mm Diameter. 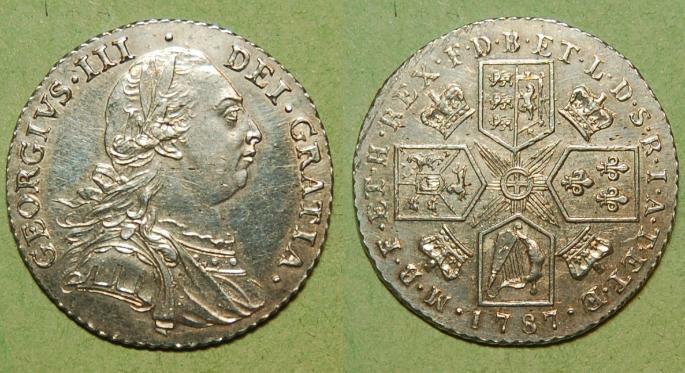 1787 Silver, 6 grams, 25mm Diameter. 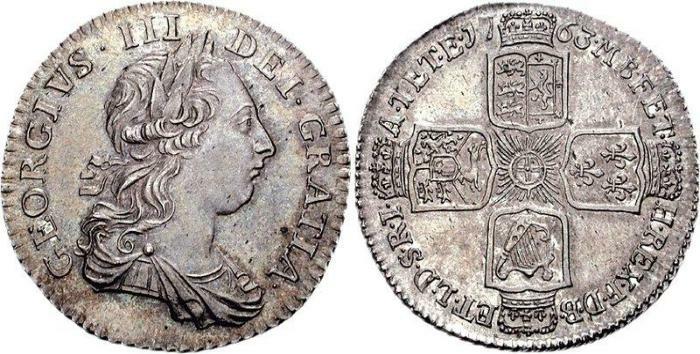 1798 Silver, 6 grams, 25mm Diameter. 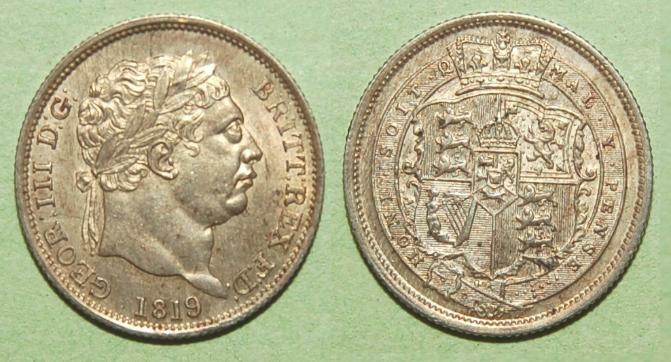 1816-1820 Silver, 5.6 grams, 24mm Diameter.